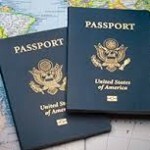 Reasons You Should Get Your Passport Before January! Have you been thinking of applying for an international passport or renewing your old one? Well, there is no better time to do it than now. Yes, right now, in the dead of winter and while the sleigh bells are ringing. Drop the candy canes and rum cake and get going! According to the U.S. State Department, the best time to apply for a passport is between September and December of each year. This is because less people travel during the winter months and as such there are fewer applications to process. What this means is a shorter processing and faster delivery time. This is not the case for the remainder months or peak season of the year, during which demands for passports practically hit the roof. Another reason, is that according to the same source, as reported by the Los Angeles Times, the number of passport applications is expected to surge in 2018 from about 18 million processed in 2016 (which was an all-time high) to well over 20 million applications. This would mean a slightly longer processing and waiting time for applicants across the country. The major reason for the expected surge in passport applications is due to a change in Federal Law. The Real ID Act of 2005will be fully enforced beginning January 22, 2018. The act was passed in 2005 and provided a ten-year grace period for states to upgrade their state issued driver’s license to meet the Department Of Homeland Security’s newly required security standards. The law requires that state driver’s licenses meet certain security standards in order to be used as a suitable means of identification at airports. Although most states have completed the upgrade, a few have yet to meet the requirements. Non-compliant states are being targeted by TSA advisories for not meeting “Real ID” requirements. 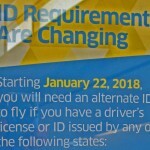 “The states where residents will need identification other than driver’s licenses to fly on Jan. 22, 2018, are: Kentucky, Maine, Minnesota, Missouri, Montana, Oklahoma, Pennsylvania, South Carolina and Washington”. For the most up to date information and FAQ answers please visit the DHS official website. If you are a citizen of a state not yet compliant, you must use alternative forms of identification. This applies to domestic and international travel which always requires an additional form of identification to your current passport. A passport is acceptable as an alternative ID form for domestic travel, which will further contribute to the high demand for passports in 2018. So the time to act is now in order to avoid being stranded as well as the New Year rush. 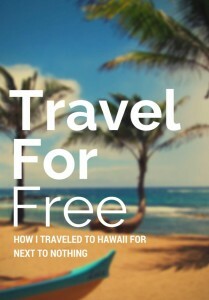 To see other relative articles on travel subscribe to Charitable Travel Groups Pinterest Board. Travel Professional, Charitable Travel Group Inc.